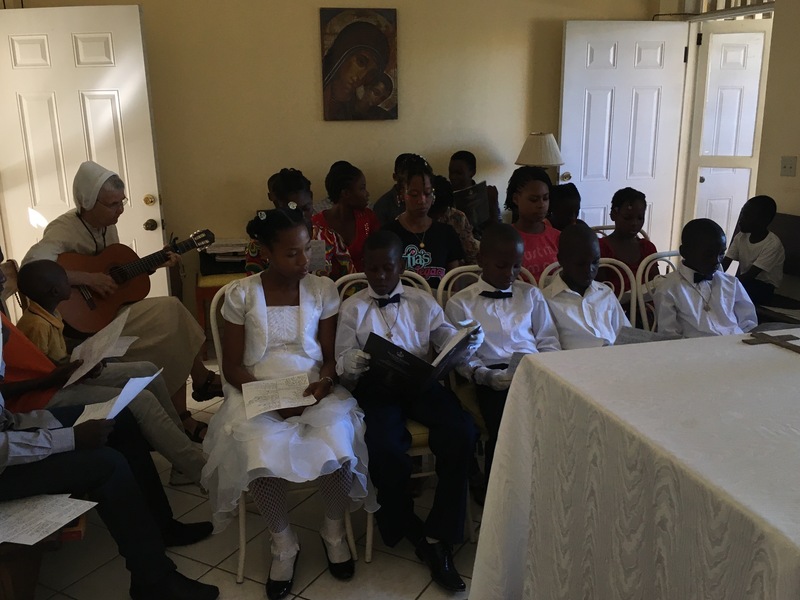 During the week of June 19-23, our First Communion children came for Mass everyday. 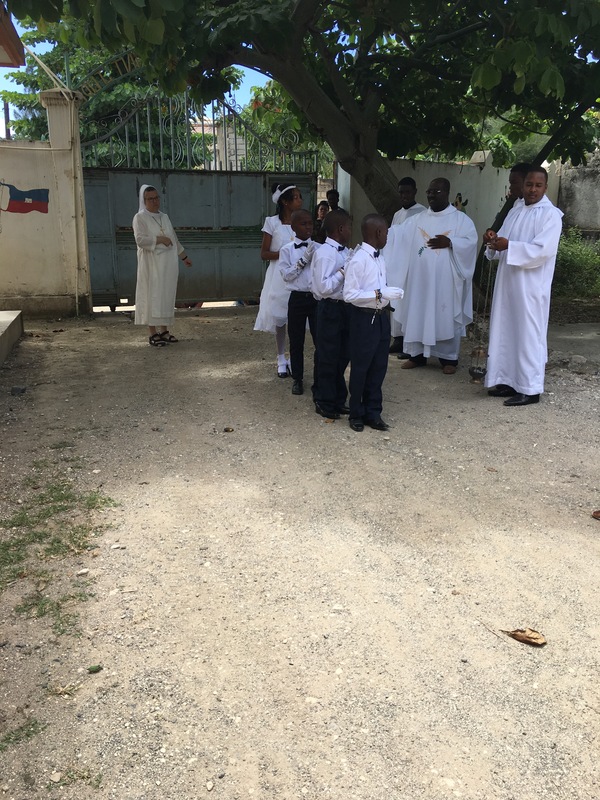 It is a tradition here in Haiti, especially the day after their First Holy Communion, that the children come to Mass that Monday dressed in their Communion apparel. 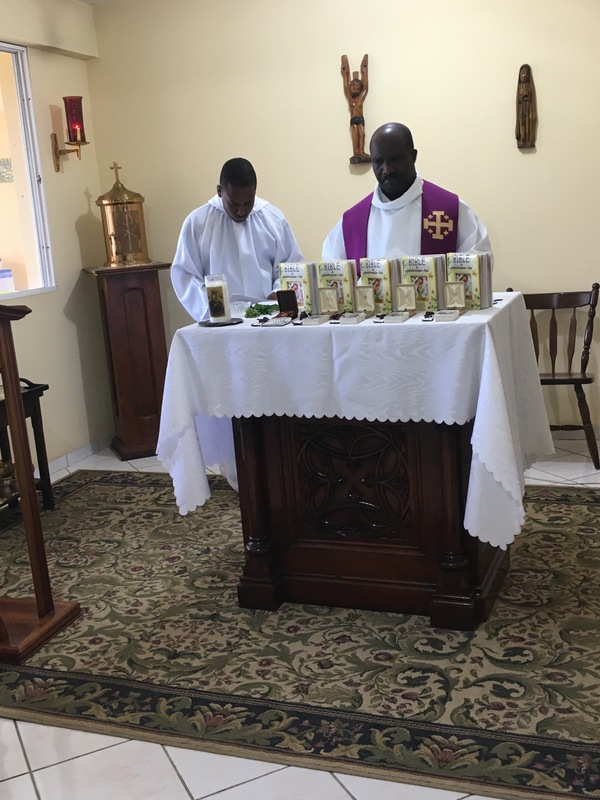 On Saturday, June 24, we had our vigil Mass for Sunday. 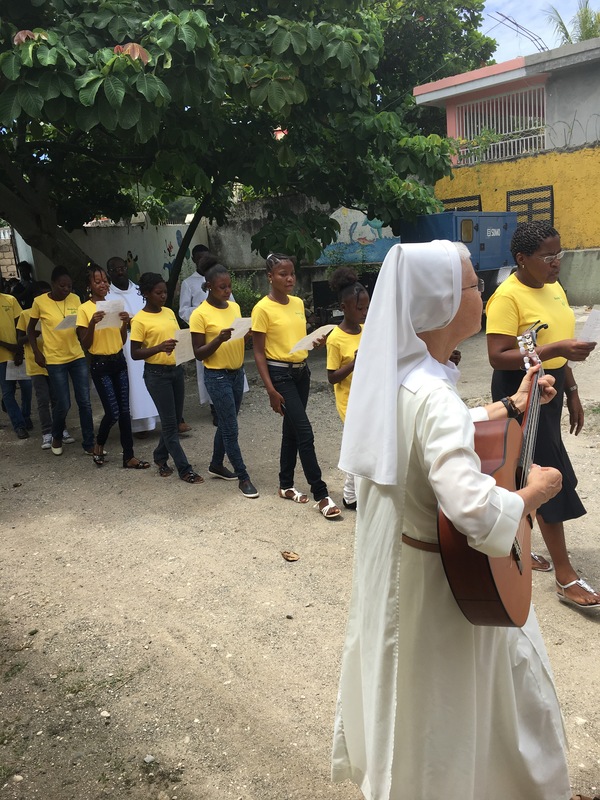 The youth choir sang, and the children came dressed in their Communion clothes. 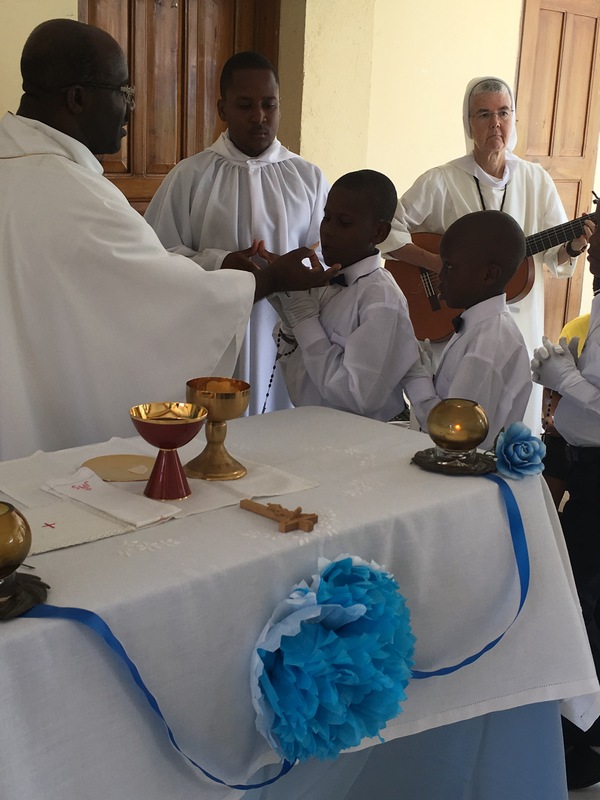 Once again, we are grateful for all those who made this possible for our children, who would not have any other way to receive Jesus in the Holy Eucharist. 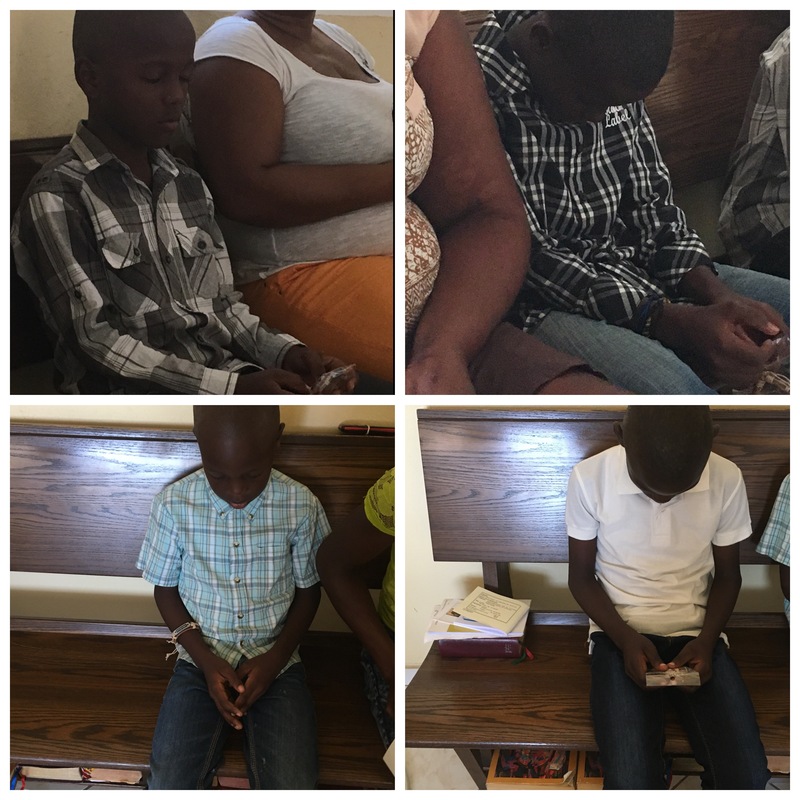 In the heat of the day, after 3 p.m. on Wednesday, June 21, they came hot, tired, and dirty….Fr. Alan from Africa and Daniel from Spain. For many years, both of these men have been involved in the Neocatechumenal Way. They are walking itinerant missionaries. The Way sends them to proclaim the Good News of Jesus Christ who died for our sins and who rose from dead so we can have life eternal. 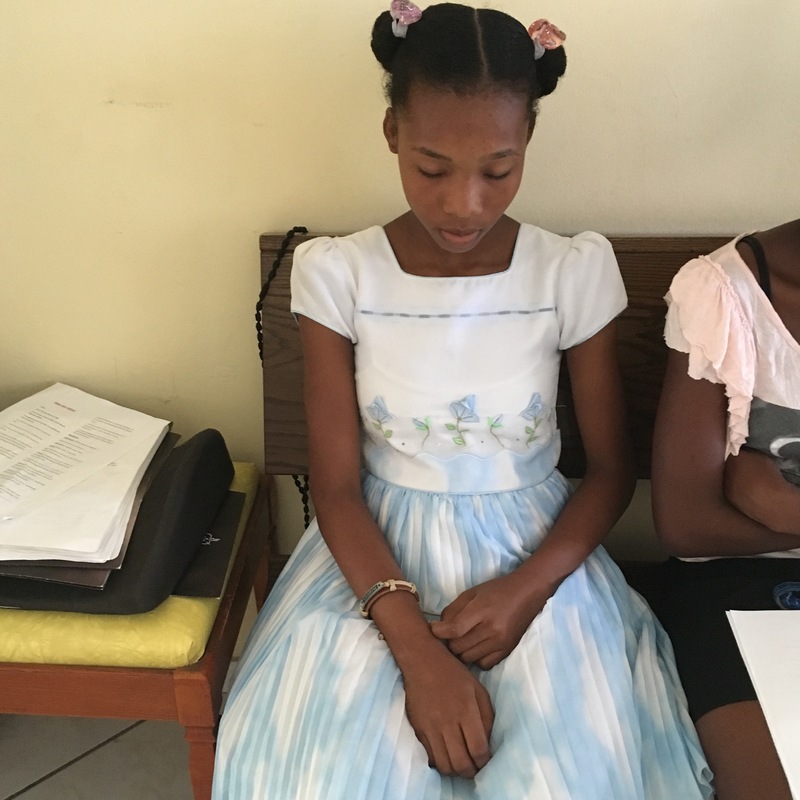 They came to Jacmel as Jesus sent his disciples, without money, clothes, telephone or any other security. 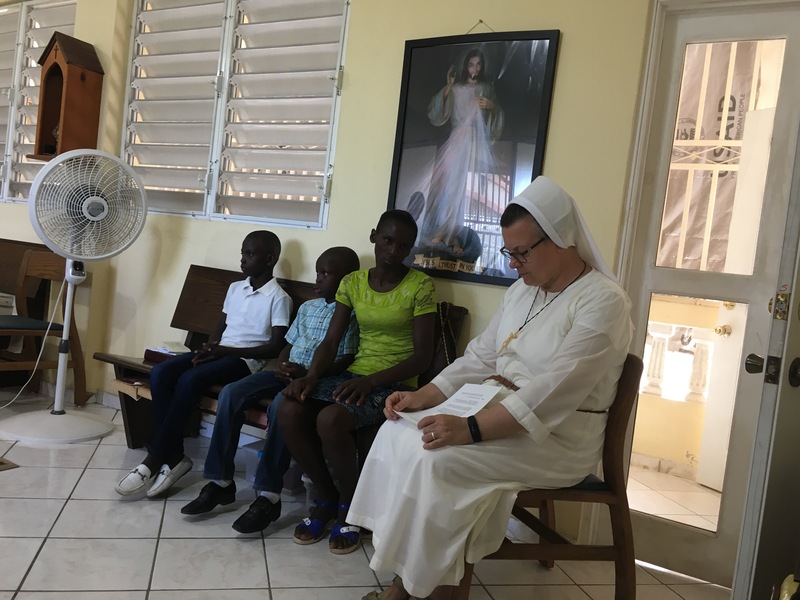 When they came to our house, we were getting ready for Mass, so we gave them water and invited them to stay. 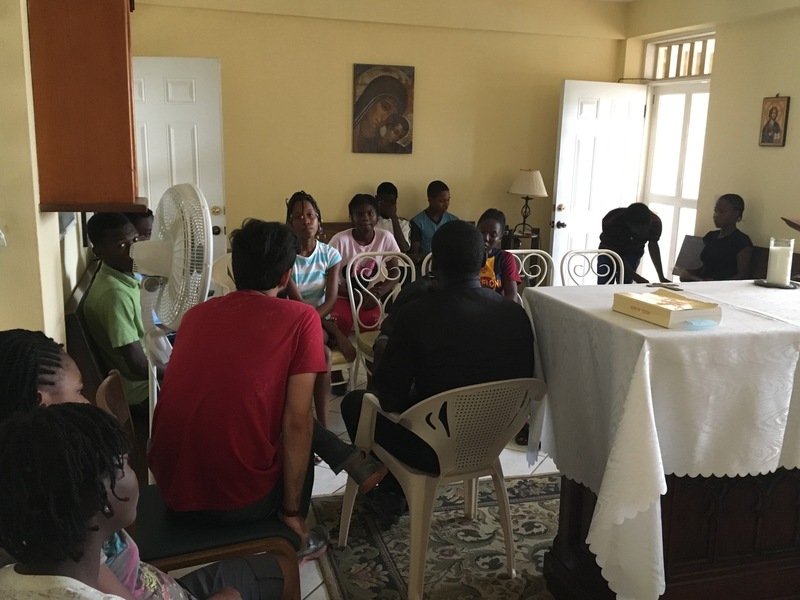 After Mass they met with our youth and shared their stories. Later, we told them where they could shower, and we gave them a change of clothes. 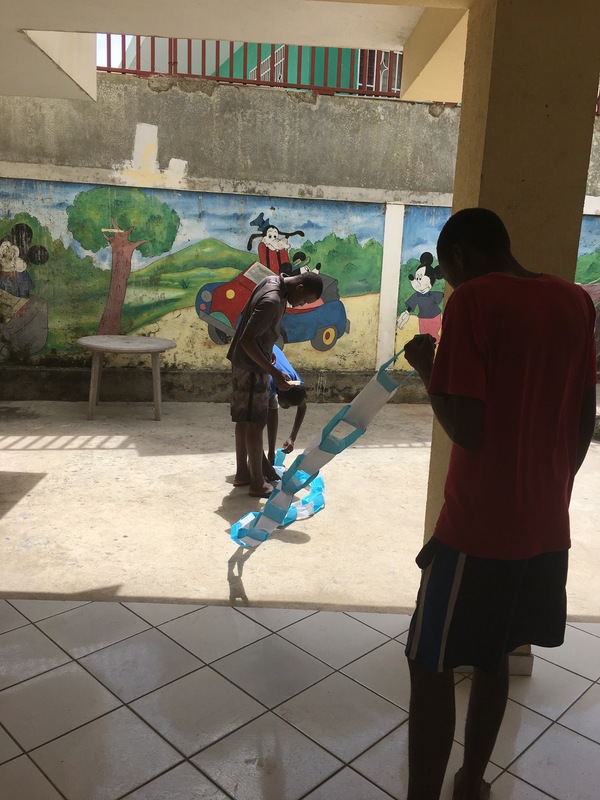 We then washed their dirty clothes to give back to them the next day. We gave them some sandwiches and then a ride to the next place they wanted to go to bring the Good News. 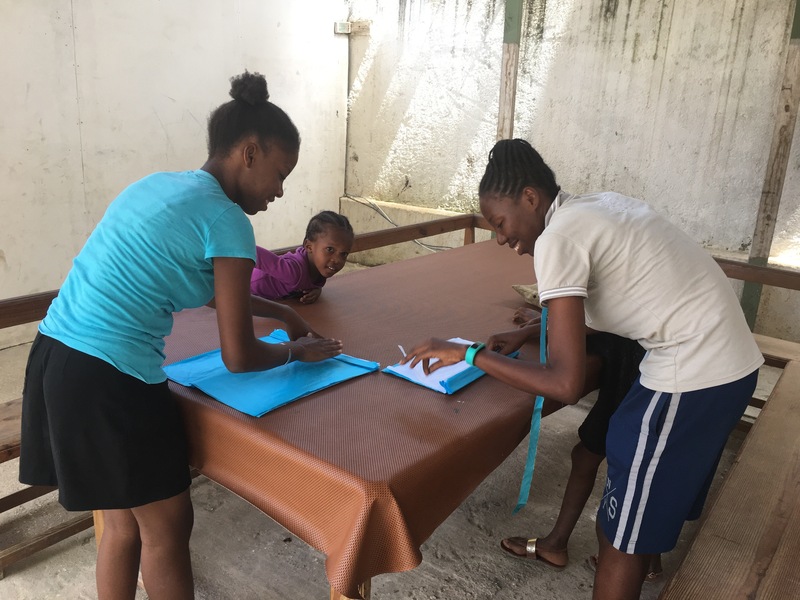 The following day, they returned for their clean clothes. 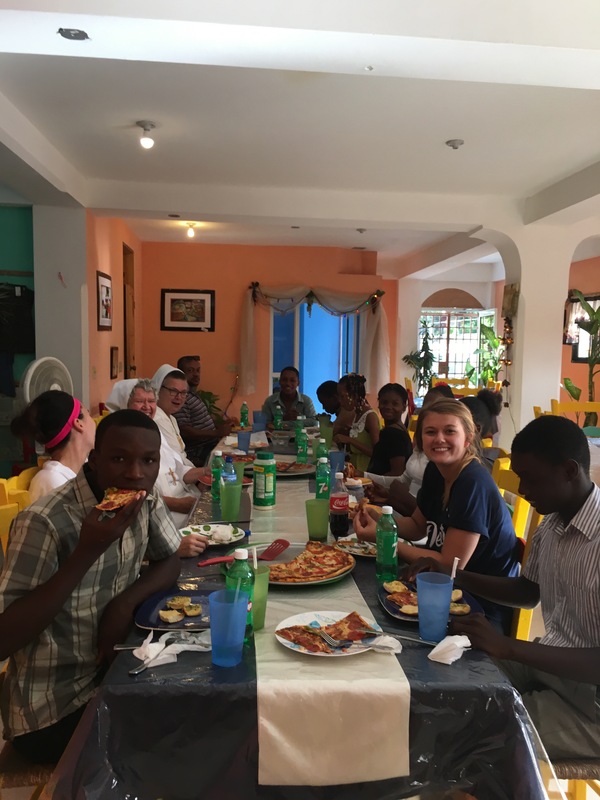 We invited them to stay for Mass and dinner. 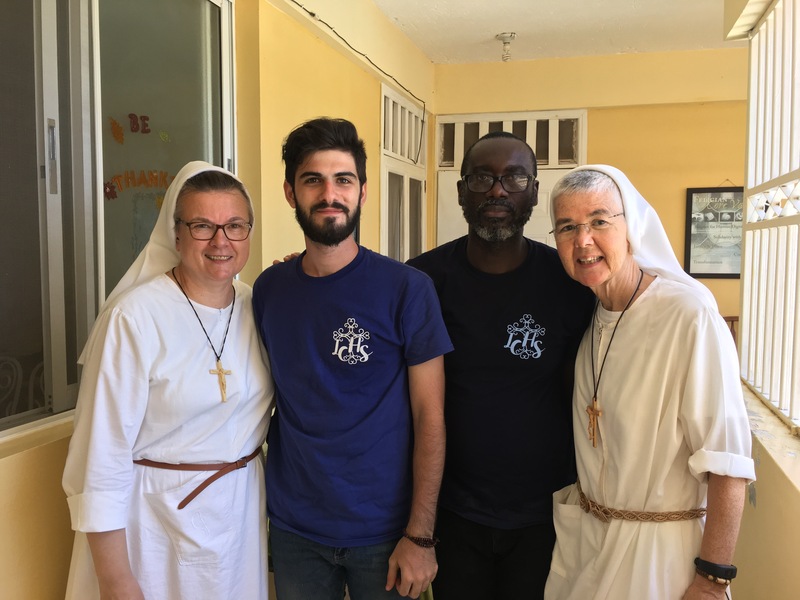 We enjoyed a wonderful sharings of the Good News, and they assured us that the Way soon will be coming to the Diocese of Jacmel with the catechesis. 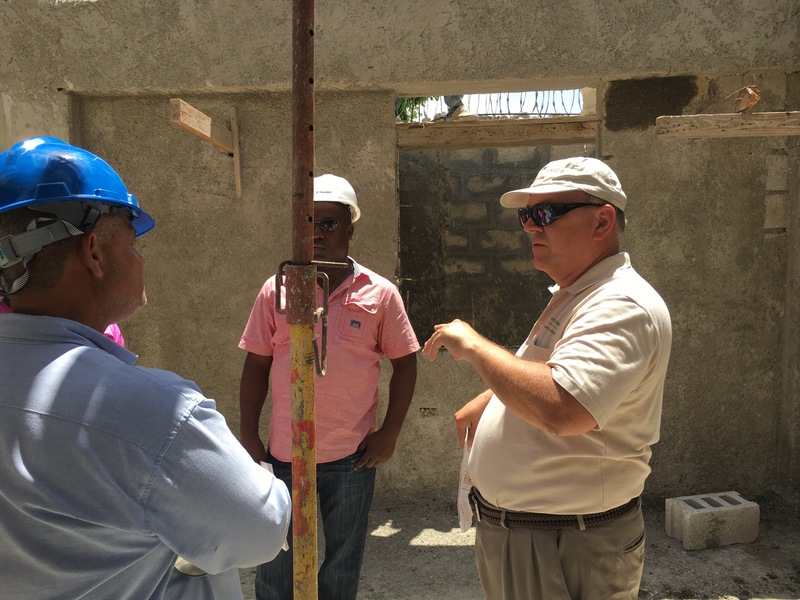 On Tuesday, June20, Mike Edgar arrived in Jacmel to do a site inspection of the Felician Mission Complex. 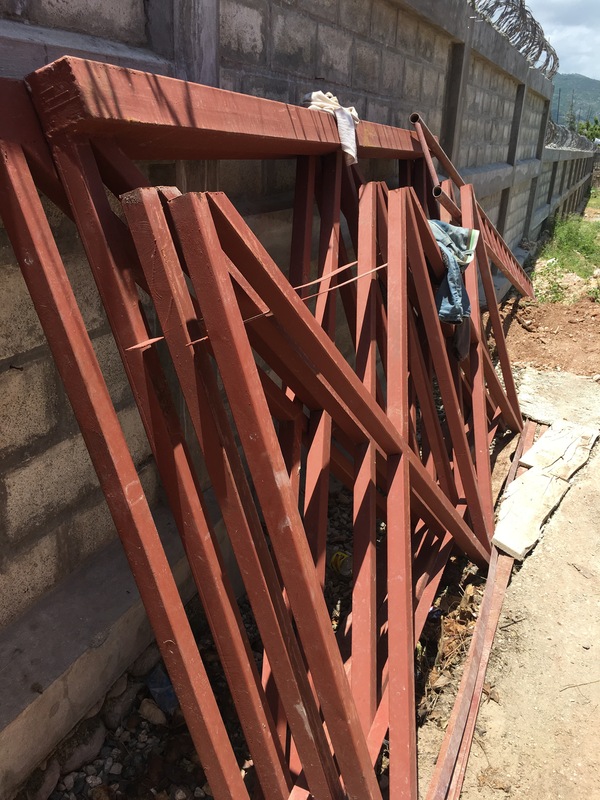 The construction is moving forward slowly but surely, remembering that everything is done by hand. 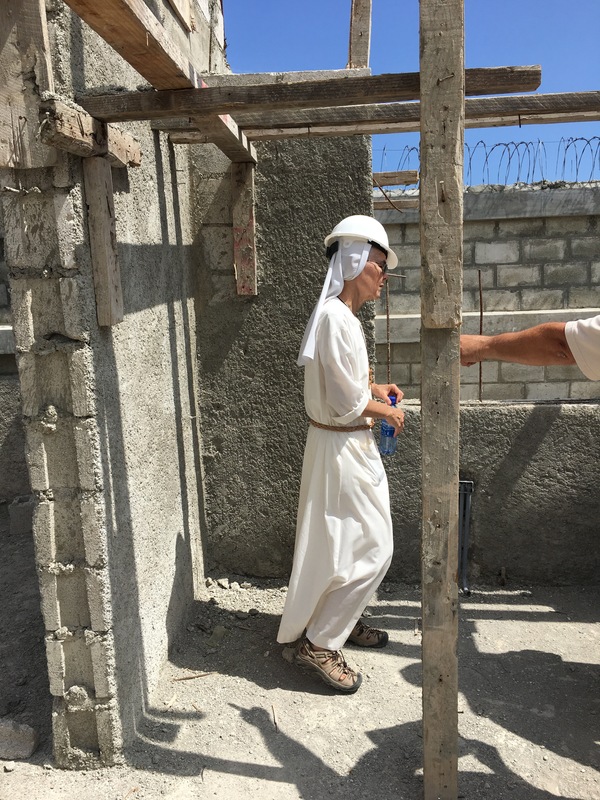 On Wednesday, with Sr. Inga and Sr. Marilyn, Mike did a walk through of the progress of the site. 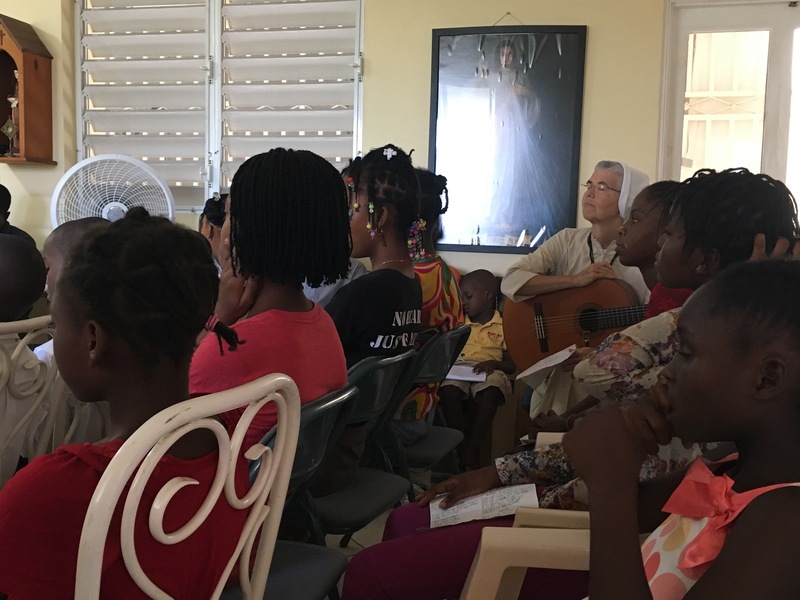 On Thursday, June 22, we all met with the engineers and PROCHE. The meeting took nearly three hours to complete. It seems all are pleased with the way things are moving forward. Mike discussing some details with Fabrice (left) and Steve (right). 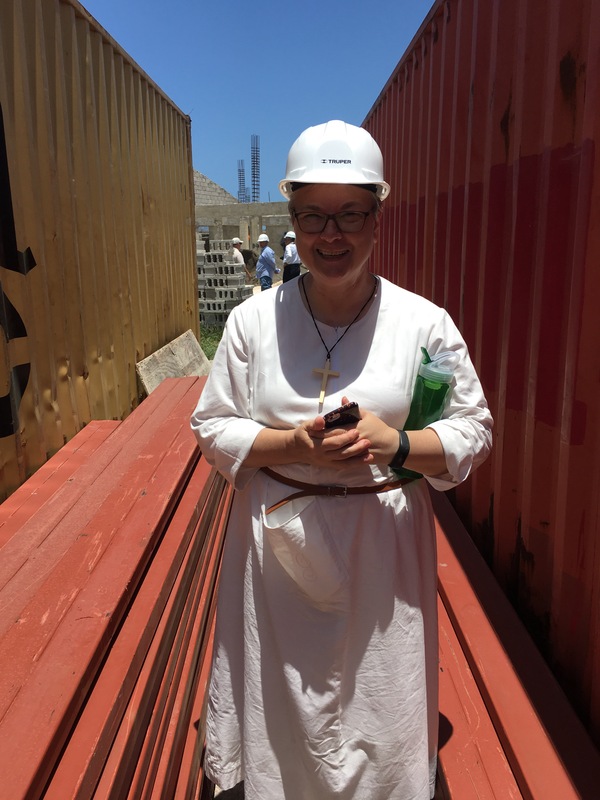 Sr. Inga with pieces of the water tower and roof. 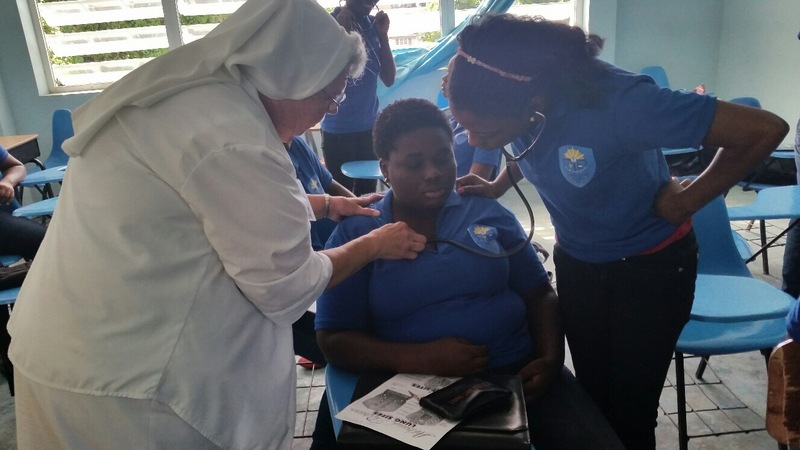 Sr. Marilyn checks out some details in the new convent. 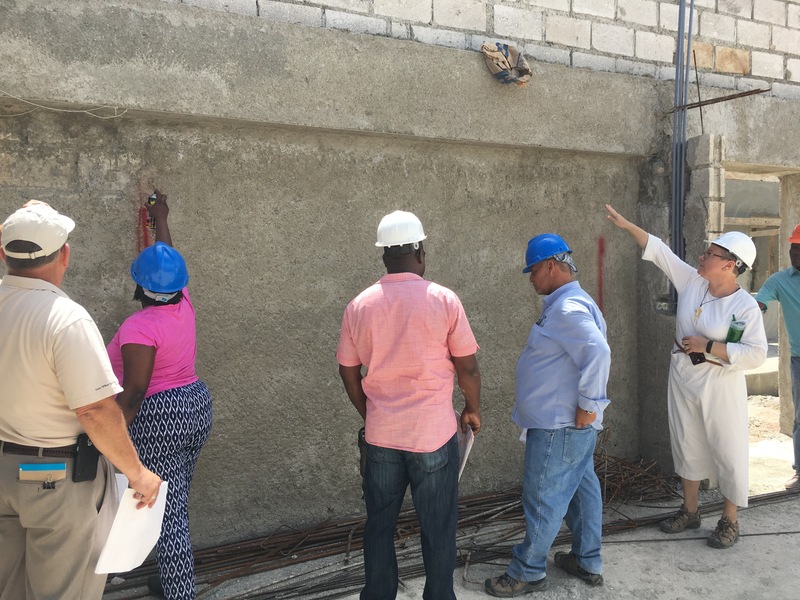 Sr. Inga points out the place where storage cabinets are needed. 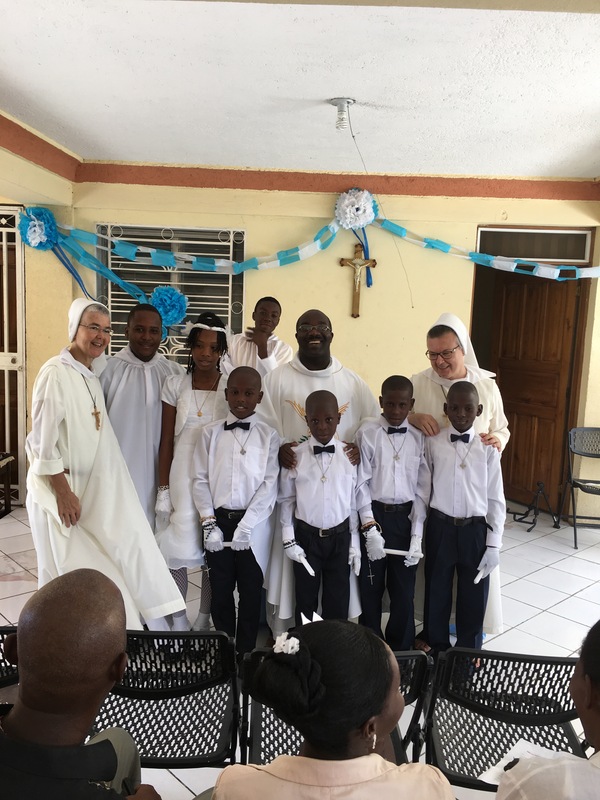 On Sunday, June 18, we were blessed to celebrate the First Holy Communion of five of our children. 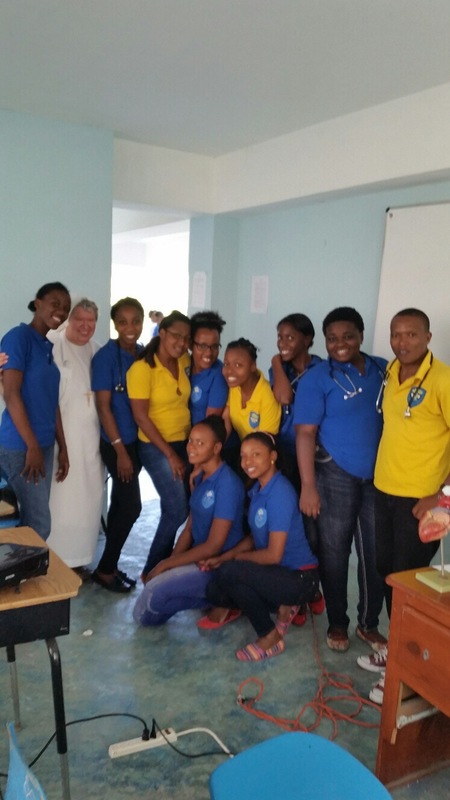 First, we want to say thank you to all those who made this day for them possible by your prayers and donations. 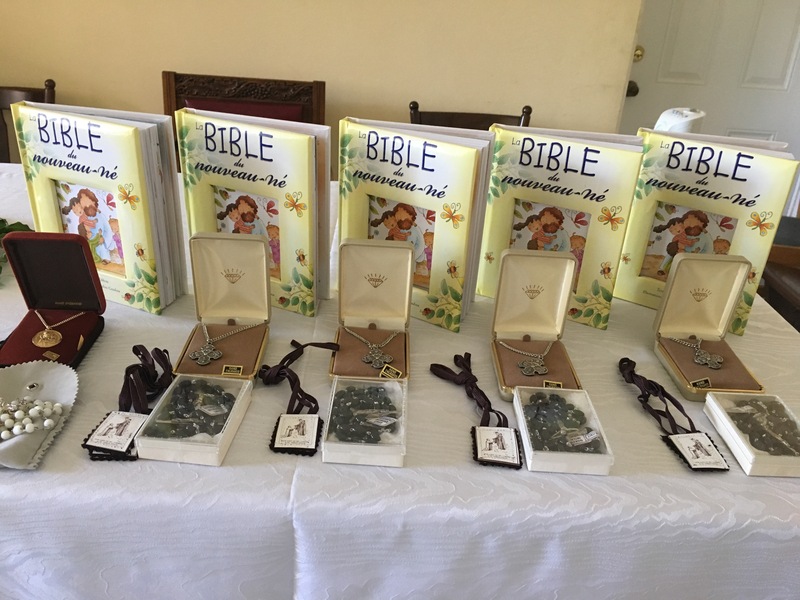 It takes a lot of preparation and planning to get children ready to receive Jesus in the Holy Eucharist for the first time. So, as the day approached and the celebration neared, the planning and decorating began. 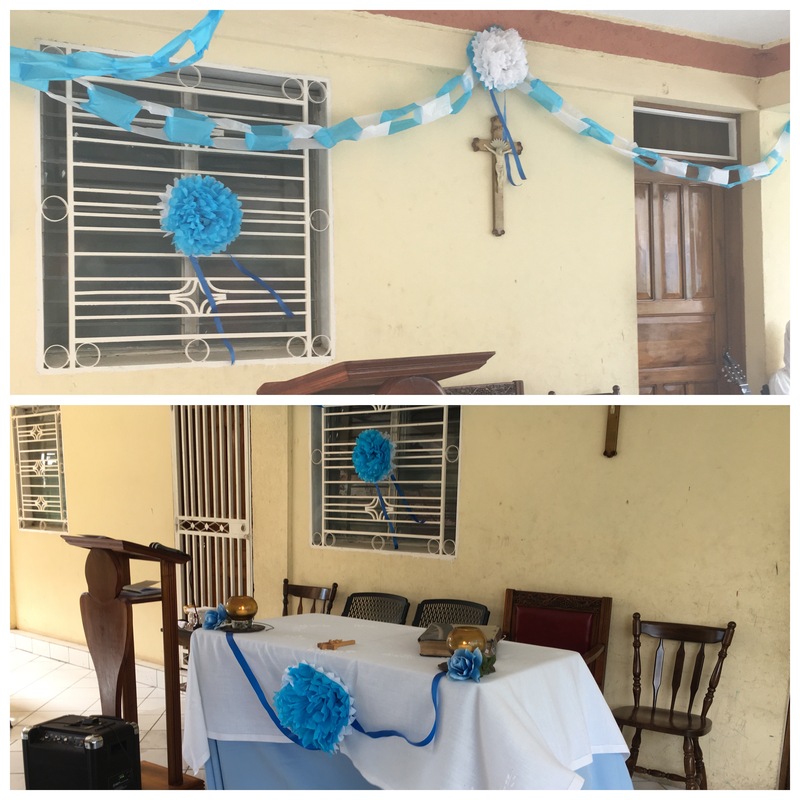 Our teens got together and did the decorating. 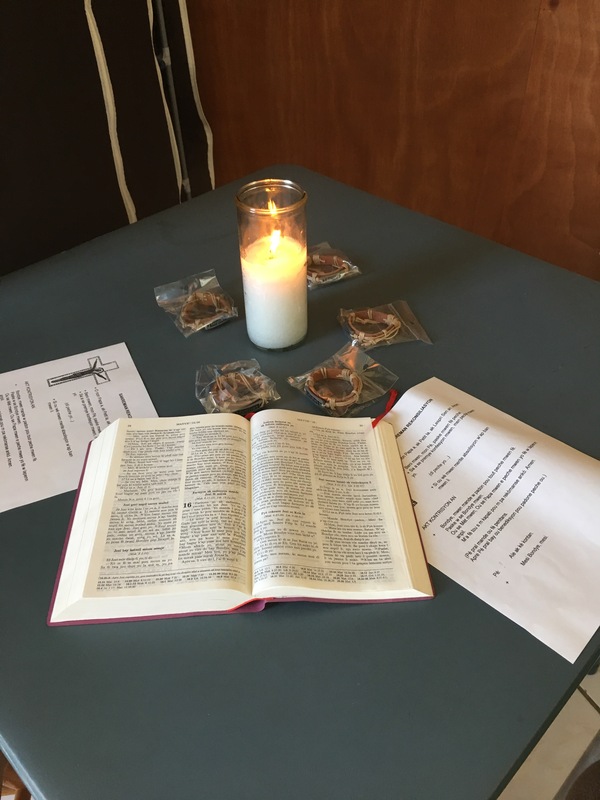 Then the day arrived, and so we prayed: O God, who in this wonderful Sacrament have left us a memorial of your Passion, grant us, we pray, so to revere the sacred mysteries of your Body and Blood that we may always experience in ourselves the fruits of your redemption. 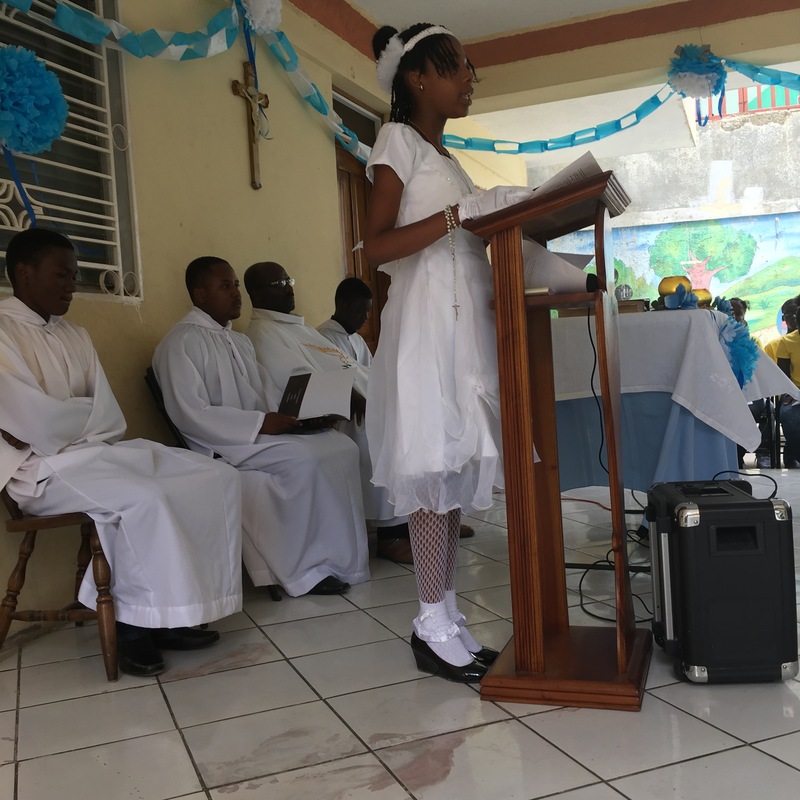 The children did the readings and intercessions. 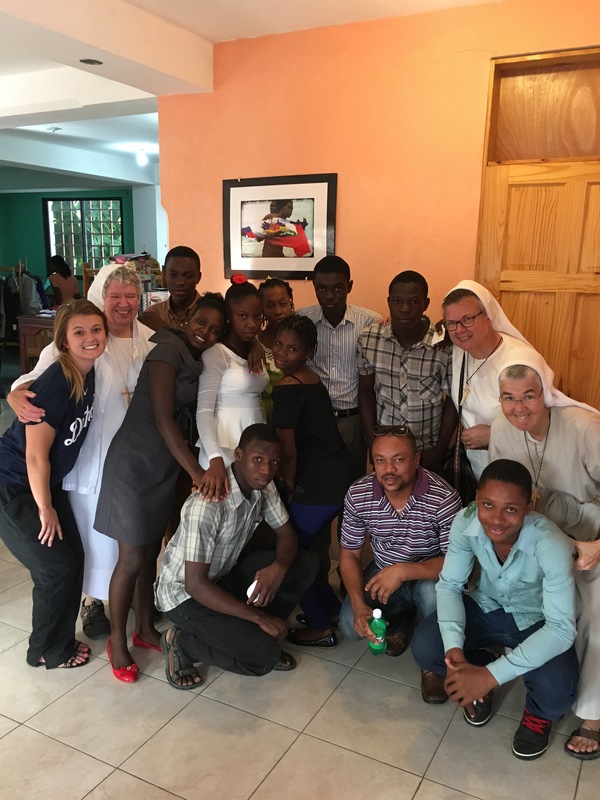 The week of June 12-14, Sr. Victoria taught at Notre Dame University in Jacmel. 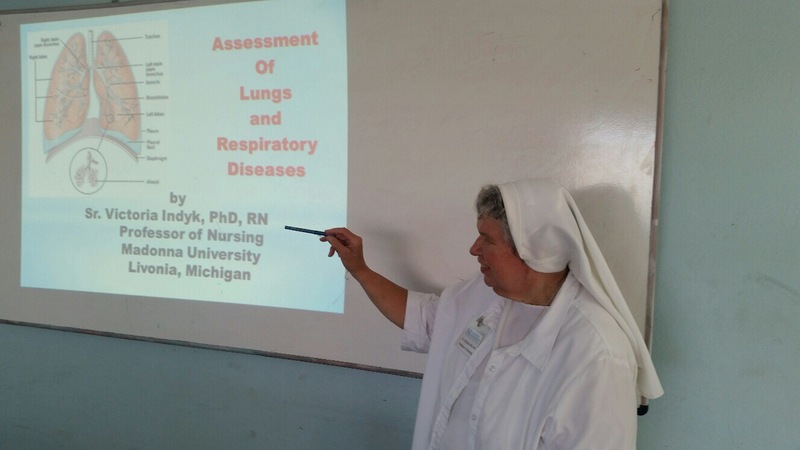 All the nursing students enjoyed her classes.